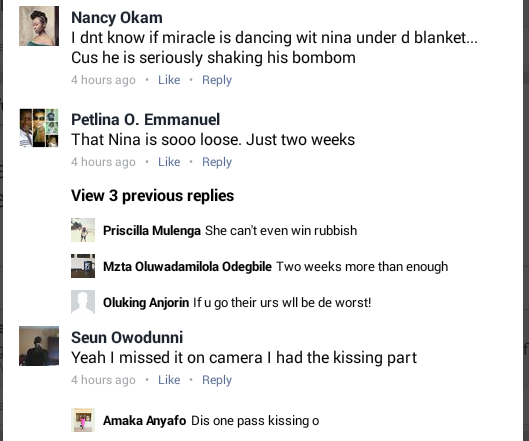 Big Brother Naija Fans Reacted To Miracle and Nina S£x Video. 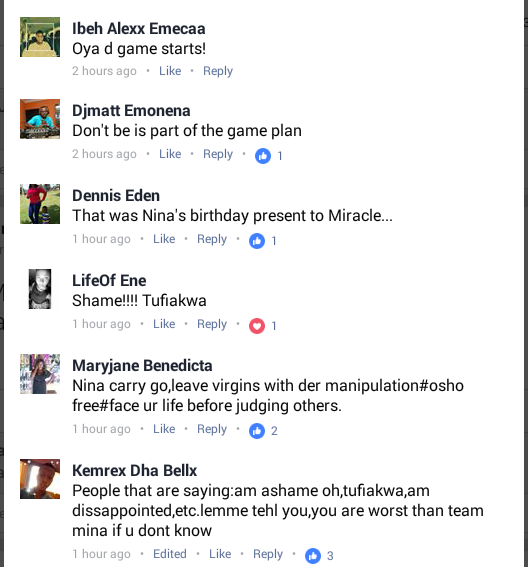 The internet and all social media platforms have been puzzling with reactions and comments from fans of the Big Brother Naija Live Show. Though, this might be unusual in Big Brother Naija house, but the show is tagged “#DoubleWahala” and fans should expect the unexpected in Big Brother Nigeria 2018 season. 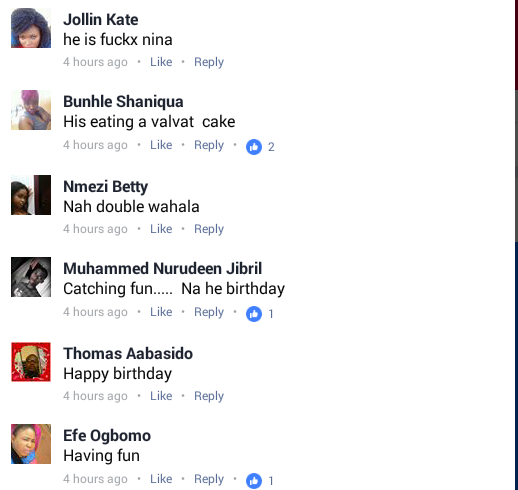 The Big Brother Naija show is becoming interesting or unbearable according to some fans who were pleased and not pleased respectively with the s£x Video between Miracle and Nina in Big Brother Naija House. This came after the Saturday’s night party. It seems that the Strategic Partners (MINA) couldn’t hold themselves any longer. The Big Brother Naija Live Show reviewed about 51 seconds review of the Pilot flying the graduate of English and landing in the duvet. The Pilot Boy, Miracle had a good night flight in the Big Brother Naija House last night as things went cool under duvet. 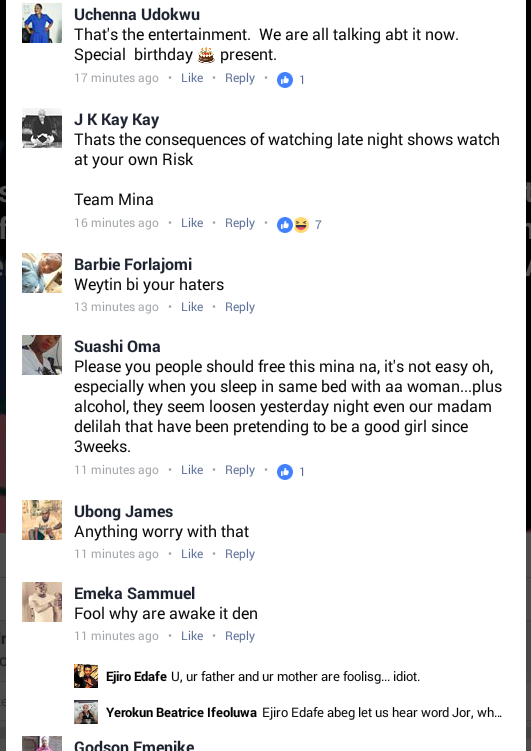 Below are some reactions and comment by the BBNaija fans Culled from Facebook.